Sick Building Syndrome: Is Your Home Sick? March 31, 2015 admin Comments Off on Sick Building Syndrome: Is Your Home Sick? How clean is the air in your home? Our indoor air quality can be compromised by a wide variety of different airborne contaminants hiding with our home. From radon, VOC’s, formaldehyde, mold and dust mites, the air in our homes might be making us sick? But how do you know if your indoor air is polluted? Learn about Sick Building Syndrome and some tips to help breathe safe in your home! Minimize Home Humidity Levels – By managing high home humidity levels, you can greatly reduce the risk of mold growth and dust mites. Lower humidity levels can also help control the spread of other contaminants, like dust and pollen, as well. Measure humidity levels regularly. Levels between 30-50% are idea! If any areas within your home exceed 60% humidity, consider adding a dehumidifier to your heating and air conditioning system or a stand-alone system for smaller spaces. Improve Ventilation – Open a window and let the fresh air in! If weather doesn’t permit….consider using a fan to move airflow throughout your home. By increasing the ventilation within your home you can help dilute contaminant levels and push them out of your space. Improved ventilation also helps prevent a home from getting that stuffy feeling when get when things have been closed up for too long. Change Filters Regularly – Change the filters in your home at least annually. By using high quality air filters in your HVAC system you can help reduce and remove some contaminants from your indoor. This can help you breathe a little easier and improve your overall indoor air quality. Use “Green” or Natural Products – Whenever possible, try to reduce your households’ use of harsh chemicals or synthetic cleaners in an effort to minimize your families exposure to unhealthy VOC levels. Many natural or “green” alternatives are available which offer lower VOC levels that are just as effective at cleaning. Natural everyday products, such as vinegar and lemon, act as great disinfectants and can really help in your efforts to minimize harsh chemical use within your home. Have Your Air Quality Tested – A scientific air quality inspection can be very helpful and informative. 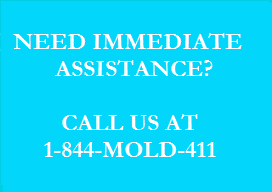 Testing for mold, radon, VOC’s and other potential contaminants within your home is the first step in helping to remove these unwanted contaminants from your environment. A company specializing in indoor air quality testing can offer a great deal of information on the types of contaminants polluting your air and wreaking havoc on your health, andoffer solutions on how to best improve the air quality within your home. If you have an indoor or outdoor spa or hot tub, specialized legionella testing services can help to uncover potentially health hazardous bacteria that may be inhaled via the mist in the air immediately surrounding the tub. Both testing services offer an excellent return on your investment when you consider the potential health impact airborne contaminants can play on our health. 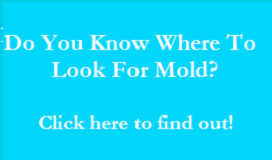 Copyright © 2015 | Mold Inspection Testing.